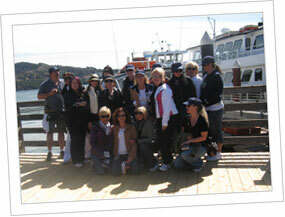 Team Building Unlimited has several different types of Scavenger Hunts. We customize all of our Scavenger Quests to meet the needs of the client, the location and the goals and objectives of the group. Following is just one type of Scavenger Quest. We can do Challenge Quests, Bar to Bar to Bar, Chocolate Scavenger Hunts, FAM trips and many other types. Email for more info or Fill out a Request for Proposal. Our events are all about YOU! 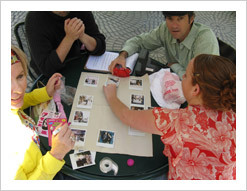 The search for adventure begins as resourceful teams gather items related to their meeting or company. The activity and day ends in exciting presentations utilizing the found objects. The sky is the limit on the possibilities of this emotional team-bonding and team-building activity. Using the diversity of sights, sounds and materials of a specific location (ex: San Francisco, San Jose, Chicago, New York, or your own town or city), teams will traverse the visually rich and exciting area to select and collect eclectic, wacky, unique and fun items from the best of the treasures in fashion, entertainment, dining, or shopping, while matching wits on various challenges. By combining their resourceful ingenuity, teams will compete as they comb through the essence of the area's core to provide the winning touch to an exciting scramble related to the company and group. Each team will be given a treasure map, instructions, list of items, Camera and Treasure Quest container and sent on their way with a designated time to return to a designated place. Interpretation of the items collected will be left to each team. It's up to each team to utilize the skills, talents and resourcefulness of their fellow teammates when searching for objects and treasures. Participants will return to a special room (brewery/restaurant/office) for final presentations about their Treasure. This activity will develop cooperation, planning and conceptualization, while emphasizing key elements about company, location, group and team spirit. Scavenger Quest involves solving challenges along the way, traversing a specific area in search of specific (although creative) items within a specified time frame, as well as assembling "finds" into creative fun team presentations. All events are customized for the group to reinforce goals and objectives as well as to incorporate specific location and creativity of participants. The Challenge Quest expands Scavenger Quest #1 to include challenges at different locations. Facilitators at various select destinations will challenge the group with a password to which the team must correctly respond before getting a chance to participate in the "Special Challenge." Some of the "Special Challenges" might include parking a remote control car, building a model of a famous bridge, putting together a puzzle of the City, shooting basketballs and Trash Talking, visiting animal life specific to locale, and more. In addition teams will be given clues to find specific things as they go around the city or location. Each team will earn points by finding specific items and by their success with the Special Challenges. Since TeamBuilding Unlimited also does Scavenger Quests, Chocolate Tastings and other Chocolate team building events, we decided to design a special Chocolate Scavenger Quest to appeal to the chocoholics in all of us. San Francisco could be renamed the Chocolate City, but just about any city or town works: Sonoma, Napa, San Jose, New York, Chicago, Philadelphia. Really the sky's the limit! 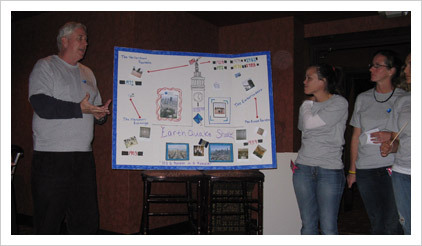 What's unique about our Scavenger hunts is that the group must also incorporate information on their team and their company into the final presentation about their "found" items, photos and other chocolate related items and tasks. Everyone's a winner in this Sweet Chocolate Scavenger Quest. Using the diversity of sights, sounds and materials of a city of your choice (San Francisco, Napa, Carmel, New York, Chicago? ), teams will compete as they comb through the essence of the area's core to provide the winning touch to an exciting scramble related to the company, the group, and The "Foodie" Hunt. What are the most important three basic food groups? 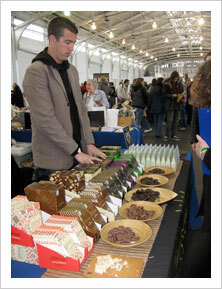 Caffeine, Chocolate and Alcohol! This Scavenger Quest is not for the faint of heart. 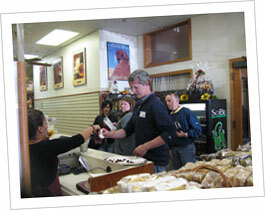 The Foodie Quest is for great team building and team bonding. There is an emphasis on fun, creativity and enjoyment. After being given an instructional directive, teams are required to visit specific and different locations—each individually serves or sells caffeinated beverages, chocolate and distilled or fermented beverages. Teams must visit and bring back proof of the visit—electronic, paper, product or otherwise—from a place that serves or sells coffee, a place that serves or sells alcohol, and a place that sells or produces high end chocolate. 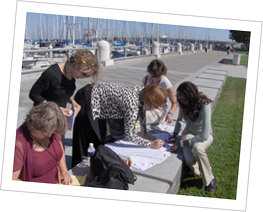 TeamBuilding Unlimited creates many customized DiscoveryQuests (Scavenger Hunts) on Angel Island, one of the San Francisco Bay Area's most historical sites. To make the most of all the spectacular aspects of Angel Island—the historical setting, the natural flora and fauna and the distant cities, waterways and more—TeamBuilding Unlimited's facilitators, will divide your groups into teams. Each team will be given specific instructions that direct them to numerous locations on the Island. Throughout the Angel Island DiscoveryQuest, teams will answer questions, take guesses, make observations and record the results. An incredible variety of clues—all different and challenging—from road rallye to word puzzles—will bring out the best of Angel Island as well as each team's creativity and perspicacity. 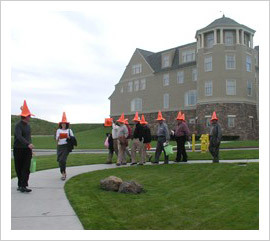 Because the island includes so many possible locations, this DiscoveryQuest "walking tour" has some twists and turns that will allow the teams to make many fun decisions. You'll also "Discover" a lot about your co-workers! What a fabulous setting and event to accomplish this! TeamBuilding Unlimited will lead your team on an AdventureQuest through the incredible resources, exhibits and learning experiences at the California Academy of Sciences—from the aquarium to the living rooftop, from the planetarium to the four story rain forest, TeamBuilding Unlimited will connect your teams, your company, your products and services to our world, our planet and beyond through an exciting competitive Adventure Quest. TeamBuilding Unlimited will prepare different routes for this California Academy of Sciences AdventureQuest located in Golden Gate Park, San Francisco, CA, so that participants can spread out throughout the museum and see and experience the richness and variety this unique museum has to offer. Their own curiosity will enhance the endless possibilities. This AdventureQuest competition will also encourage teams to think outside of the box by exercising creativity, resourcefulness, and decision-making. Teams strike out on foot using a series of clues that take teams to different locations where challenges await. Creativity, efficient resource allocation, intensive problem-solving and effective time management will propel teams into the wild world of this incredible museum to discover how to explore, explain and protect the natural world. This AdventureQuest is designed to challenge and stimulate participants regardless of their own scientific knowledge and abilities, since it is also customized to include their agenda, goals and objectives, jargon and buzzwords. From top to bottom, teams will be engaged as they traverse one of the most unique museums in the world. The activities, challenges and clues are designed to spark the curiosity of participants while engaging them in team competition. 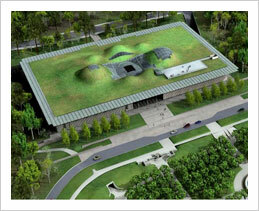 They will discover the secret corners and exhibits in the museum through this Team Building Adventure. This activity will develop cooperation, planning and conceptualization, while emphasizing key elements about the company, museum, group and team spirit. So put on your Safari Hat and join TeamBuilding Unlimited at the California Academy of Sciences as you are plunged into a fun competitive team adventure/teambonding experience. Facilitators, debriefing, prizes and more. This Scavenger Hunt can be done in just about any City. Teams traverse through the streets in search of the history and culture that brought the City to life! Teams must think outside of the box by exercising creativity, resourcefulness, and decision-making under the pressure of time. Teams strike out on foot using a series of clues that take teams to city sites where challenges await. From 2 hours to half or full day events, The City Challenge is a great choice for teams seeking adventure and seeing the sights! TeamBuilding Unlimited recently created a City Challenge in San Francisco for 160 Polish Automobile Managers and Executives. Everything including the Passports was translated into Polish. 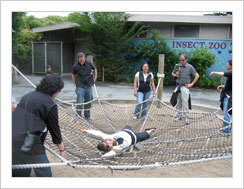 The Zoo Safari requires teams to think outside the box or cage! Creativity, efficient resource allocation, intensive problem-solving and effective time management will propel teams into the wild to learn the secrets of the Animal Kingdom. Of the largest African mammals, which is the most dangerous to humans? It is not the fastest team that wins. It's the smartest team. Unraveling the mysteries of the wild requires effective teamwork and efficient execution of resources. Is your team up for the challenge? The Zoo Safari can be done in any zoo in the U.S. This can be a two hour, half day or full day event. The Zoo Adventure Safari is a great choice for teams seeking an adventure in the wild! Because TeamBuilding Unlimited is based in San Francisco (but we go all over the U.S.) we have developed Wine Country Safari! Learn about wineries, wine making, and more, as your group is divided into teams that search the Valley for clues and information. This is a great teambuilding activity for Distributors, Sales, Wine Club Members, and companies that want to have fun while they do some teambuilding and team bonding. 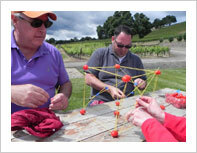 TeamBuilding Unlimited comes to YOUR location, meeting or conference. Anywhere in the U.S.